Patriotic and Realistic! 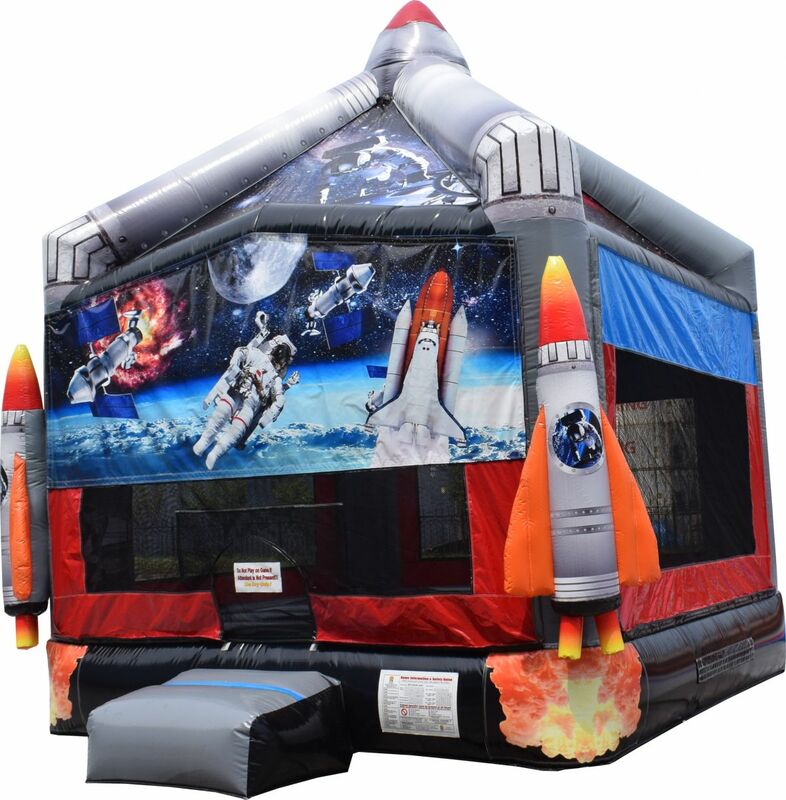 Two upright Space Shuttles in the front and Two Saturn Rockets in the back launch your party towards success. The design provides ample jumping space and has a high ceiling. This one is built tough, and is popular with every age group. 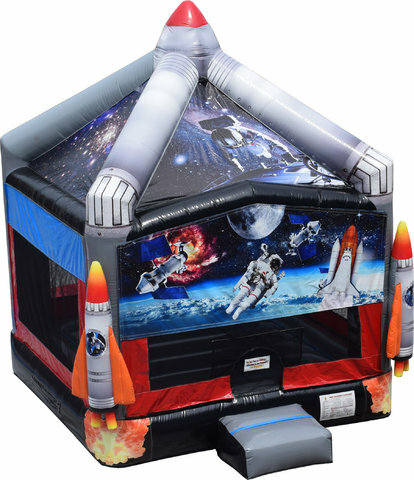 If your child loves the idea of Space travel, or if you're simply planning a patriotic family gathering, this is the one!